Find hotel near Memorial National Austral ..
During WWI Australia along with its neighbour New Zealand sided with their mother nation England. This ANZAC (Australia & New Zealand Army Corps) fought on July 23, 1916 at Pozieres and in April 1918 in Villers-Bretonneux. To commemorate their contribution the war this site was chosen and every year April 25th is celebrated as the ANZAC day. 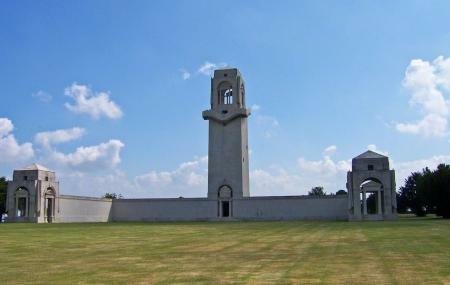 The cemetery was inaugurated by King George VI on 22nd July 1938 and contains about 11,000 known and unknown Australian soldiers. The Musee Franco-Australien is nearby. Closed on last week of December, first week of January and Public Holidays. Located on D23 road to corbie. Drive here, ask locals for direction. How popular is Memorial National Australien? People normally club together Abbatiale Saint Pierre and Australian 2nd Division Memorial - Mont St Quentin while planning their visit to Memorial National Australien.